For generations of customers and customer support representatives alike, the experience of trying to work together to resolve a problem over a phone line has often been extremely frustrating and unsatisfactory even when ultimately successful. 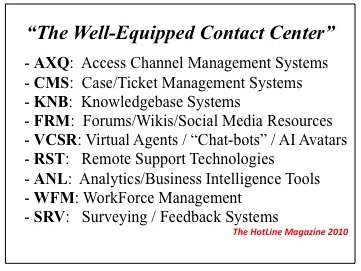 I remember countless episodes from my own days many years ago as a support rep, telling customers “Now enter this command, and then tell me what the screen shows.” Unfortunately, in far too many centers, these costly and difficult conversations are still going on today. The inefficient communication means that the case will inevitably take much longer to resolve. Worse, the chances for failure are also much higher. The result is substantial amounts of unnecessary wasted time, confusion, expense and frustration. Fortunately, there is an effective solution to this problem. In response to the need for remote product support, a number of companies have developed tools that enable a support representative to reach out from their consoles via the Internet and work directly with the customer’s computer system, telephone or other technological product. The rep can see for themselves exactly what the customer’s system is doing, and can make adjustments as necessary while conversing with the customer about the problem they are working to resolve. If files need to be updated, or configurations adjusted, the support rep can take the necessary steps quickly and efficiently. Regardless of the physical distance — across the street or on the other side of the world — using remote support technology brings faster resolution, and a better support experience for both the customer and the representative. An appropriate remote support technology product should be a standard component of every well-equipped customer support/service contact center. To assist companies in justifying the investment and in identifying potential solutions and vendors, The HotLine Magazine has added some resources to the Libraries here.